BP is a world leader in the oil industry and has its research and technology head office in Sunbury on Thames in Middlesex, a site that employs some 2,500 people in 12 buildings. Any new construction work has to mindful of local sensitivities because of the proximity of the site to a nearby residential area. The construction of a new pump house meant that as well as noise control, the aesthetics were also a major consideration. The new building had not only to blend in with the local environment, but stringent planning requirements also meant that noise pollution had to be minimised. Kimpton Energy Solutions, working for structural steelwork sub-contractors W.S Britland & Co, was specified to supply five acoustic doors to the pump house enclosure as well as creating a series of sound-proofed infill panels. The pump house itself is a timber clad steelwork construction, sympathetic to the surrounding area. 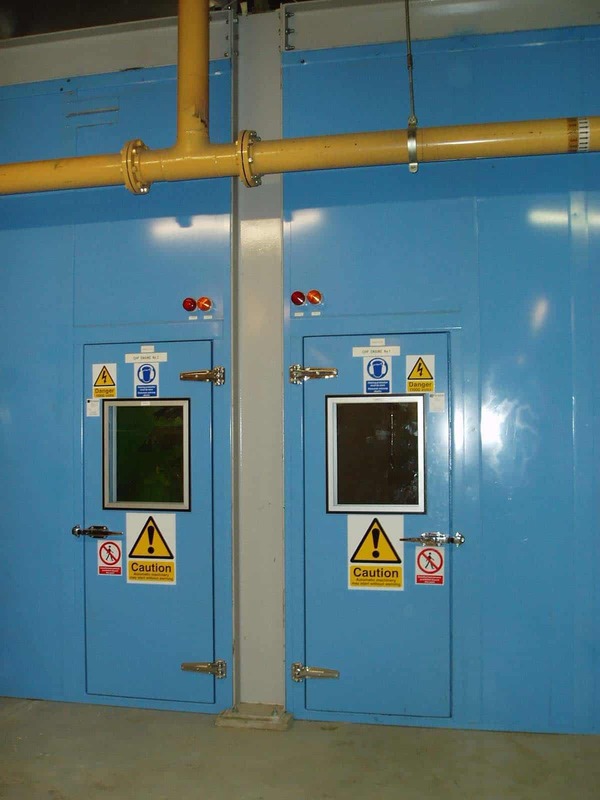 Kimpton Energy Solutions was able to manufacture custom-built acoustic doors with co-ordinating hardware, all in conformance with the recommendations of an earlier noise impact assessment. Once the pump house construction was complete, a subsequent independent noise survey was carried out which indicated that the potential noise levels of 79 dB(A) has been attenuated to the predicted background noise level of 60dB(A), well within the environmental requirements.